By the help of Social Login App, the UVdesk Owner can allow the customer to login into the UVdesk Customer Portal via Social Media- Facebook, Twitter, Google & LinkedIn. On the Dashboard, you will see "APP CENTRE" menu and under it, you will find "Social Login". 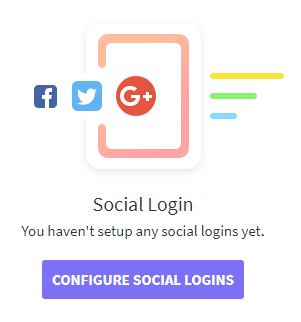 Click on that button and Social Login App will get installed. Alternately, for uninstalling the app, go to Social Login "Overview" section then click on Uninstall button. 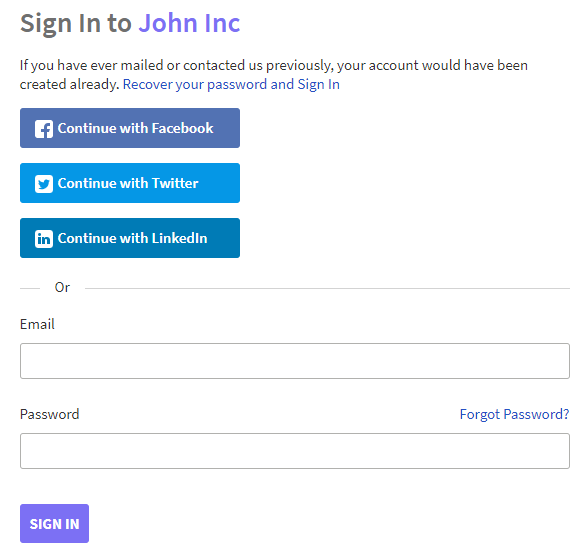 Under the "Configure", click on Configure Social Login button. 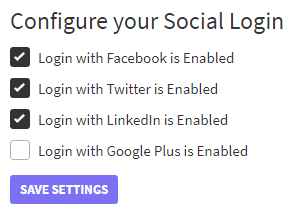 In "Configure your Social Login" section, check on the Social Media like Facebook, Twitter, LinkedIn, Google Plus and then click on Save Setting to save. On the Customer login portal, you will see the Social Media which you have enabled.